Chinese have been an important part of Darwin's history from early settlement through to current day. On this guided walk exploring the Chinese heritage of Darwin, you will stroll through the area once known as Chinatown, en route to see one of its last original buildings. Along the way, your guide will tell the stories of market gardeners, grocers, miners, merchants and Mayors. 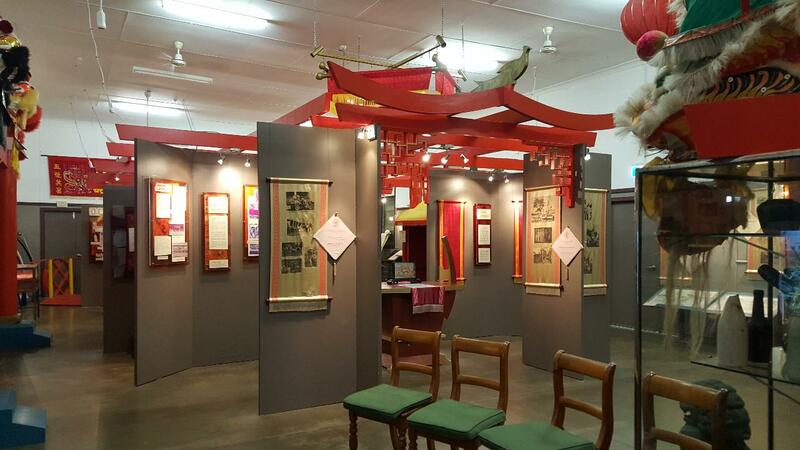 Included is a short visit to the NT Chinese Museum where you may peruse the model of Chinatown before WWII, explore exhibits at your leisure and listen to the recorded spoken histories of Chinese residents. This tour is being offered as part of the National Trust NT Australian Heritage Festival. This year's theme, Connecting People, Places and Past, will bring to life all chapters of Australian culture and history, telling the stories of diverse and distinctive experiences that make up our communities. Visitor Information Centre, corner of Bennett and Smith Streets. Look for the person in the bright orange shirt. ~ A level of fitness is required for this walk as you will be standing and walking for 90 minutes with very few places to sit and rest. ~ This tour requires a minimum of 4 paying guests to operate; the group size is 12. This tour was developed in late 2017 with the aid of the NT Government and Live Darwin.